A fan tweeted recently to Candice Capen asking if the new Call of Duty: Ghosts would feature a Spec Ops mode like it has before in the past Infinity Ward published Call of Duty. Capen replied that the game will feature a co-op mode of some kind, but that the team will not be announcing the mode yet, and that if it will even be announced. Sounds a lot like Call of Duty: World at War… gamers would beat the game thinking its the end and after credits appears another level which is the first ever nazi zombie. 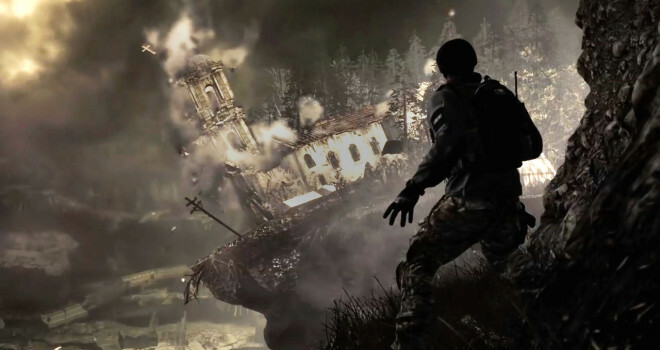 No one was aware that this would even happen, and I feel that Infinity Ward has always came up short when it comes to co-op game modes in the COD franchise, where Trey-arch has always succeeded easily with the addicting zombie mode. I think its a good possibility we will see a zombie mode, or something that will really step up the co-op experience and give zombies a run for its money.